Good morning from the San Fernando Valley in southern California (home of our P.O. Box) and welcome to the long-awaited year-end edition of our newsletter, filled once again with good portions of thought-provoking features, all designed to keep our members thinking and gaining insights on the actions that will follow. PS - Don't forget to check out this month's special DVD special offer at the bottom of the newsletter. What a difference a few months makes. Since our last newsletter was released in June, we have witnessed financial panick from Wall Street to London Town to Beijing and in between and beyond, plus the continued collapse of the "Big 3" U.S. automakers, record-setting perfomances in the Olympics, the "what goes up, often goes down" pricing for crude oil, first-time ever negative interest rates on Treasury bills, and the use of the "d" word to describe our economic situation. In response, we've seen record-setting government bailouts (leading to predictions of the end of capitalism as well as a break-up of the U.S.), severe budget cutting in corporate and government settings, knee-jerk calls for greater CEO accountability in the Wall Street Journal, and a non-standard suggestion (What Would Peter Drucker Say?) in Business Week magazine. Those impacted, including college students pressed to pay higher tuition, are apt to look inward and cry foul over the cost-cutting solutions. Do they realize that their self-focussed solutions for lower tuition only serve to shift our economic burden to elsewhere in time and in space in a never-ending system. How could they (we?) know? Returning to Beijing for happier news, attention turned to swimming U.S. phenom Michael Phelps. Instead of suggesting that his finishing times were a measure of him alone, as inferred by "prevailing system of management" media accounts, better thinkers would acknowledge contributions from a greater system that included Phelps's swim lane position, his swim suit, his teammates, his mother, his fans, his competitors, and his many coaches, to name a few obvious and not so obvious system elements. Those who would see the system as the swimmer alone would also be likely to blame the CEO's of Ford, GM, and Chrysler for the situation they (we?) face, and ignore any contribution from labor unions and related contracts, as well as from consultants and any of our many elected leaders. Once again, as W. Edwards Deming would ask us, How could they (we?) know? A New World: Information Flows. The people of the world no longer live in isolation. Information flows across borders. Movies, TV, VCR, and FAX machines tell us instantly about other people, how they live, what they enjoy. People make comparisons. Anybody wishes to live like somebody else. Anybody else lives better, so everybody supposes. How may people live as other people live? People blame their plight on to the government and its leaders, or to management and its leaders. They may be correct. But, will change in leadership assure better living? What if the new leaders are no better? How could they be? How much time have new leaders to demonstrate that they have brought a better life? In other words, how patient are people? What are the criteria that people use for judgment? By what method could new leaders bring improvement in living? Do they possess knowledge requisite for improvement? What characteristics ought a leader to possess? Will best efforts bring improvement? Unfortunately, no. Best efforts and hard work, not guided by new knowledge, they only dig deeper the pit that we are in. The aim of this book is to provide new knowledge. These opening statements were prepared some 13 years after Dr. Deming was invited to help the "Big 3" with their quality problems and, instead, presented them with a new management philosophy. For leaders still eager to move beyond best efforts alone, a great source of insight into Dr. Deming's enduring philosophy and it's widespread applicability can be found in the Deming Video Library, a 32-volume set prepared by Clare Crawford-Mason and her husband, Bob Mason, in the 1980s. Links to buy discounted copies of 4 of these volumes follows below, as part of a regular discount offer to our members. A recent "letter to the editor" from Clare and Bob with their perspectives on "What Would Deming Say" to the Big 3 was recently published in the Washington Times, with advice that is all too familiar to those who have studied their video library and taken leadership roles with implementation efforts, however large or small. Regarding the every timely topic of leadership, the July 21st edition of Time magazine included a Nelson Mandela cover story, complete with his leadership lessons; 8 to be sure. Included are "courage is not the absence of fear - it's inspiring others to move beyond it (#1) and "nothing is black or white" (#7). Mandela also adds his perspective on problems and, in so doing, borrows a few pages from Russ Ackoff. According to Mandela, "Every problem has many causes." 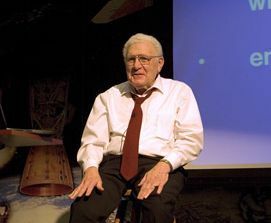 In the cover story, he is credited with acknowledging that the causes of apartheid were complex; "they were historical, sociological, and psychological." As Russ might remind us, the adjective in front of the word problem does nothing but provide us with the vantage point of the observer. In short order, it follows that problems have more than one "root cause," and in relentlessly searching for the suspected "sole" cause, the observer will always find it. What might happen if the observer then proceeded to change vantage points and find others causes to a problem and then realize the systemic nature of the mess? Now, that would be an example of leadership that many of us would find refreshing. For a fitting example of leadership at an early age, follow this link to a video of Severn Cullis-Suzuki, filmed in 1992, when she was 12. At 29, she continues her mission of reminding us to act with the future in mind. As we look ahead to 2009, we hope our newsletter and annual Forum, plus our partnership with Pratt & Whitney Rocketdyne's monthly "Ongoing Discussions" sessions can be of great use to our community of leaders in provoking a better awareness of the difference between solutions which serve to rearrange the parts in the current system (reformation, per Russ Ackoff) or a movement to focus on the interactions between the parts of the system(transformation, per Russ). At issue is not the value proposition of a timely rearrangement of the parts, but an awareness that these recurring solutions do not create a transformation in how we understand systems, variation, people, knowledge, and their multiple interactions. The aim of our Network is to foster conversations among our members about the potential of such a transformation focus and provide peer guidance on how effective leaders manage interactions. The In2:InThinking Network's Forum Team is dedicated to designing and delivering an annual event which allows our members to come together for an extended weekend of compelling conversation about better possibilities for thinking together, learning together, and working together in our respective organizations. Through our team work with members, including presenters, and a growing list of Partners InThinking, we can do so at a modest fee. For those who are nonetheless challenged in meeting the resulting expenses, we have a proud tradition of awarding various kinds of scholarship assistance to bring some individuals to our Annual Forum who might not otherwise be able to attend, or who perhaps would not be aware of our Network. Initially, as a starting point, our Board of Directors granted one or two scholarships each year to cover the registration fee. Since that time, we have expanded our scholarship efforts with the introduction of the Oscar Mink Scholarship, started in 2004 to honor Oscar after his untimely death. This scholarship fund has benefitted from individual and corporate funding, including an inaugural donation from R.W. Lyall & Company, in Corona, California, in 2008, owing to the sponsorship of Jeff Lyall and Jon Slaughterback and their long-standing relationship with Oscar and their respect for our network efforts. Later, in 2006, we established the Russell L. Ackoff Scholarship, which is funded annually by a donation from Metalex Manufacuring, located in Cincinnati, Ohio, whose founder and president, Werner Kummerle, is a great admirer of Russ Ackoff and our efforts as well. In 2007, we had the good fortune to establish yet another annual scholarship, the "Community Service Scholarship," funded by Spincraft, from North Billerica, Massachusetts. In the spirit of team work, Len Paolillo, Spincraft's Vice President of Operations, established this scholarship "to help develop and advance connections between the Network and individuals doing important work in their communities." In 2008, we sought additional scholarship funding from friends of our network, both new and old, to create our "Student Scholarship." We applaud the leadership of John Dilts and his Maverick Angels, new members of our network for coming to our aid for this worthy cause and supplementing the assistance of several anonymous donors. Natalia joined us from Chelyabinsk, Russia, where she is the President of Movement for Nuclear Safety. She was featured in the Member Profile of our October 2007 newsletter and interviewed by NPR regarding her nuclear safety efforts in October 2008. Laurie is a publicist as well as community activist in the San Fernando Valley of Los Angeles. Her recent efforts led to the creation of the San Fernando Valley Aviation Aerospace Collaborative, whose members provide enriching internship opportunities for Lewis Chappalear's engineering design students at James Monroe High School in Van Nuys. Looking ahead to 2009, we are excited to announce our next new Forum scholarship, the W. Edwards Deming Scholarship, funded by our "Louisville Slugger" friends at Hillerich & Bradsby in Louisville, Kentucky. Follow this link to learn more about this new scholarship as well as those listed above. In this edition, we highlight the Swiss Deming Institute, which we first featured in December 2006. The Facts: It is the aim of the institute to foster the understanding for the Deming Management Philosophy and in particular the Deming System of Profound Knowledge (SoPK)in Europe in general and in Switzerland in particular. How does your organization complement the In2:InThinking Network? The aim of the institute is congruent to the aim of the In2:InThinking Network. Due to the geographical location of Switzerland in the heart of Europe, the institute is able to address a multinational, multicultural and multilingual community. Follow this link to find the continuation of this profile. Haydn Shaughnessy, a long time Network member, is taking up a new post with San Francisco based The Conversation Group, a spin-off from the blog search engine Technorati. The Conversation Group is a global communications agency focused on original and innovative ways to get brand messages out to customers or to create breakthrough innovations in the way companies market their products or engage staff and customers in a fragmented media universe. The growing list of clients includes Best Buy, Volvo, and SAP. Haydn's role in The Conversation Group is unusual. For the past five years he has been writing about art, design and innovation so he's looking at using that knowlewdge-base to help companies innovate in ways that enrich company culture and client relations. For example he is hosting two-day innovation workshops that help clients identify up to three innovative approaches to their businesses and he's particularly interested to work with companies that want to use art and design to focus their innovation efforts. "We're seeing many companies turning to the core creative professions such as artists and designers to help them get a better handle on how to do things differently, well and with style," says Haydn. "The best way to see what we're about is to attend the Innovation Workshop. They're a great introduction to how your thinking can be realigned for a new media world. And, clients we've worked with so far have been very positive about the innovations we help generate." As someone who writes for a living I began to feel uneasy in my chosen profession about a year ago. Fewer and fewer people read much of any length. Written communication is becoming increasingly allied to imagery which should be no great surprise. We've had TV now for over 50 years, cinema for over 100 years and personal computing for over thirty years. More and more communications depend on screens and, lately, on moving images. But if that was the only change then so be it. The other direction change has come from is the new importance of the network and the requirement of networks to patch together something coherent about ourselves, interests and needs. Fast. Why does that matter in the context of "better thinking about thinking"? The first thing to say is this article is not a complaint - images are great and so are networks. Link here to continue reading Haydn's article online. What Color Model T Would You Like? 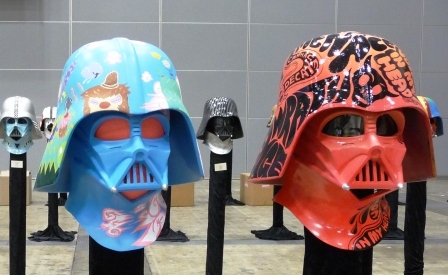 Billed as the 30th anniversary of Star Wars here, the 3-day Star Wars Celebration event held in Japan in 2008 followed similar studio-sanctioned fan conventions in the U.S. and Europe. It also served to generate buzz for creator George Lucas's next installment in a film franchise that's grossed $4.3 billion and also spawned interest in Darth Vader masks that are not only black. Congregants also got a sneak peak at the animated Star Wars: The Clone Wars. Follow this link to a short event video. Follow this link to see far more colors than an original Model T.
David Train, Network member and 4-time UK Olympic rowing coach, continues to make a difference, as best he can. He's shown in the photo to the left with former Prime Minister Tony Blair, who is one of many "Paddle for Life" signatories. Next up, David has sent letters to President-elect Barack Obama as well as Chinese President Hu Jintau. Stay tuned for progress reports. 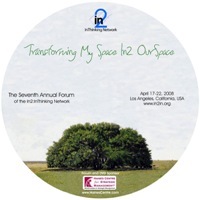 As you look for conferences to attend in 2009, here's one to consider for our U.K. members, as well as others looking for a mindful getaway to the U.K. Our Partners InThinking with the U.K. Deming Forum have confirmed plans for their annual Forum on May 19-21 in Wyboston Lakes. With a theme of "Transformation is the Future," we invite you to follow this link to their website to learn more. 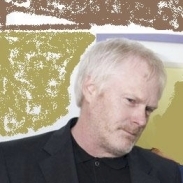 To date, Will Hopper has been confirmed as a presenter. Together with his brother Ken, he appeared as an "Ongoing Discussion" Thought Leaders in December. And, don't be surprised to see Tony Heald in attendance as well. 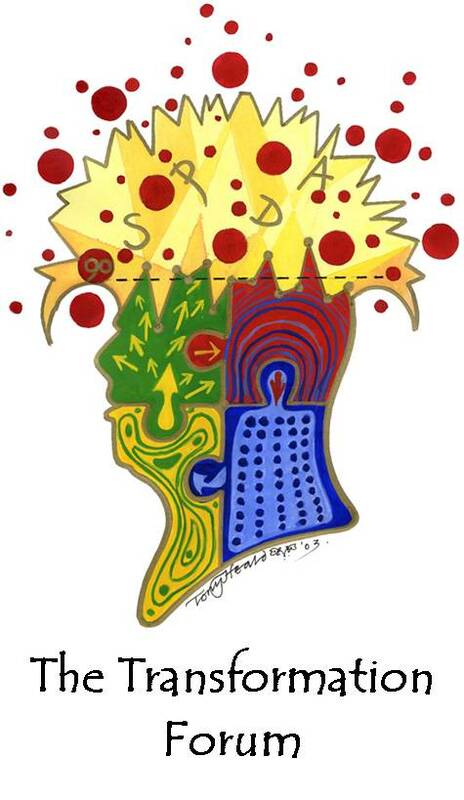 Tony is the Artist in Residence for this event and his work includes the image above. He also served as our 2003 Forum Artist. Closing Thot...Good to the Last Drop? Recent ice storms across New York and New England have left once mighty trees far less mighty. One such tree sits in pieces on Big Bear Road in Speigletown, New York. 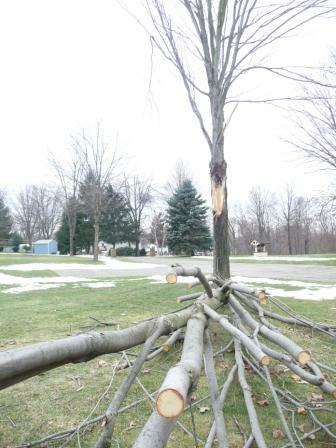 As a closing "thot" for our last newsletter of 2008, is there any chance this tree was "good to the last drop of freezing water" that felled it? Or, might it be that, once again, the last straw did not fell this mighty camel all by itself? Happy New Year!!! "...OurSpace - Bringing Progress In2 View"
Kathy Allen, Adrian Bass, Barry Bebb, Dave Flanigan, Juan Garza, Steve Haines, Tracy Huston, Joel Levey, Michelle Levey, Natalia Mironova, Shel Rovin, Peter Stonefield, and Elizabeth Topp. In addition, we have confirmed a schedule of 11 pre-conference sessions on April 23-24 and 5 post-conference sessions on April 27-28. Additional details on the conference presentations, plus pre- and post-conference seminars and workshops will follow in a special mid-January. The opening of our new online registration system will follow by the end of January. Mark your calendars and stayed tuned for coming details on our 2009 Forum. As for location, we'll be in Los Angeles, on the west side the San Fernando Valley. As for pricing, the registration fee for this 6-day event will be $400, with a $50 discount on registrations made on or before March 23rd. This price includes all, but one, of our pre- and post-conference seminars and workshops, plus all conference presentations and activities, materials, and meals (dinner on Friday, continental breakfast on Saturday and Sunday, and lunch and dinner on Saturday). We will also continue a tradition we started on 2007 of offering a discounted registration price of $200 for full-time students in home school, public schools, colleges, or universities. Looking ahead to next month, the Ongoing Discussion (OD) will feature Russell Ackoff as our first Thought Leader of the year for the fourth year in a row on January 29th and 30th. The formal "OD" announcement for Russ's appearance will be released on or before January 23rd. And, if you missed our last OD sessions with Ken and Will Hopper on December 4th, or with George Roth on December 18th and 19th, or would like to listen to them again, the audio files from these sessions are posted on our website at this link. Check out the Ackoff Center Blog for the latest feedback on Russ Ackoff's last book, Turning Learning Right Side Up. In addition, follow this link to download the mp3 files from our "OD" sessions with Russ in January 2008. You might also be interested in a reading a 2002 interview with Russ, with topics ranging the role of business schools to how they need to do to change. As to the first, he replied "When I retired from Wharton, I wrote an article which endeared me to the faculty. The question was, "What are the contributions of business education?" I said there were three. The first was to equip students with a vocabulary that enables them to talk authoritatively about subjects they do not understand. The second was to give students principles that would demonstrate their ability to withstand any amount of disconfirming evidence. The third was to give students a ticket of admission to a job where they could learn something about management." Please plan to join us for the "OD" sessions in January, when Russ will provide us with his honest answers to our honest questions. For the sixth year in a row, we contracted with Kid Flix, the after-school video services team at Placerita Junior High School in nearby Valencia, CA to videotape the entire (weekend) conference portion of our upcoming Forum. Once again, the Kid Flix "CREW" was led by Paul Kass in recording the conference footage and the resulting videos converted into our final DVD package by Dave Nave & Associates. The package of 10 presentations, including the after-dinner entertainment by taiko group On Ensemble, sells for $150. To order the 2008 DVD set, as well as packages from 2004, 2005, 2006, and 2007, follow the link from the DVD image above. Members of the In2:InThinking Network are invited by Bob Mason and Clare Crawford-Mason (of managementwisdom.com) to purchase volumes 3-6 of the Deming Video Library ( Corporate Leadership, Adoption of the New Philosophy, Communication of the New Philosophy, and Adoption of the New Philosophy) at a sale price. Instead of the standard price of $110 each, network members can purchase these volumes for $70 each, for a 36% discount. Follow this link to find information on these videos. Use this link to place your order and reference this limited offer. Special thanks to Bob and Clare.